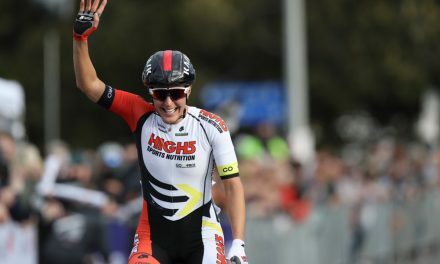 Victorian Kate Perry has soloed to victory on Stage 2 of the 2015 Amy’s Otway Tour, part of the the Cycling Australia Subaru National Road Series, beating home Miranda Griffiths (VIC) by 1 minute 28 seconds. Tour winner Georgia Baker (Tas) finished third on the stage with Perry’s Total Rush Hyster teammate Ruth Corset (Qld) in fourth. 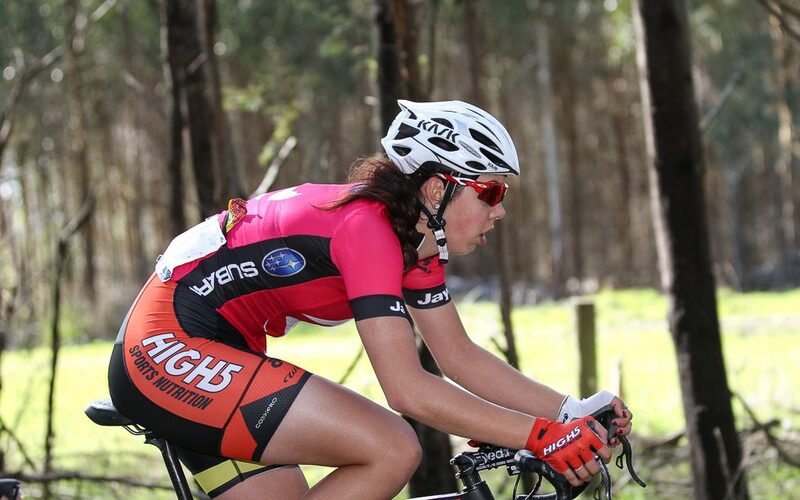 Baker’s tour win cuts Corset’s lead in the overall Subaru National Road Series to just two points. The peloton rolled out of Lorne to a stunning sunrise, and perfect racing conditions. It didn’t take long for the attacks to start, and it was the Echuca duo of Minda Murray (Vic) and Danielle Garden (Vic) who made the early running, leading all the way to the base of the Skenes Creek climb. Once over the Queen of the Mountain point, a select group of twelve riders pulled out to a five minute lead over the chasing peloton, with eventual stage winner Perry driving the reduced bunch all the way to the base of the final climb, where she would make the decisive attack of the race. 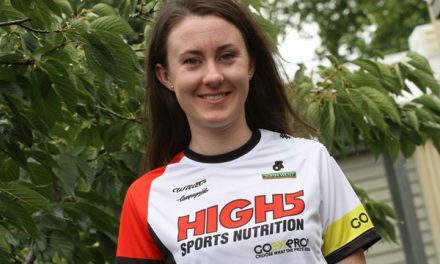 Tour winner Georgia Baker survived multiple attacks to remain with the peloton going into the sprint to the line, and was both surprised and relieved to take back to back Subaru National Road Series victories. 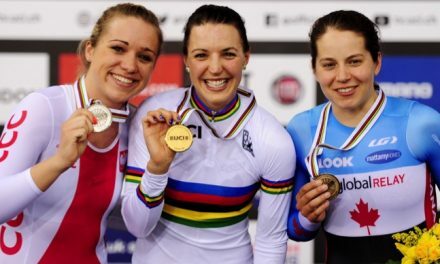 ‘I was yo-yoing off the back on the last climb, and I managed to get third on the stage to win overall, so I am really happy’ added race winner Georgia Baker. On Saturday, the 2015 Amy’s Otway Tour got underway with a criterium in front of huge crowds on Mountjoy Parade in Lorne. 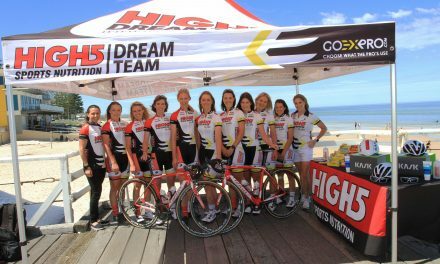 The race was animated with multiple attacks and strong head winds but it was Tasmanian Georgia Baker of the High5 Dream Team who sprinted to victory ahead of Subaru NSWIS NKC Team’s Ashlee Ankudinoff with Total Rush Hyster rider Ruth Corset in third. Full review. With only two points now separating Ruth Corset and Georgia Baker, all eyes turn to the National Capital Tour, which starts in Canberra on Friday 18 September.